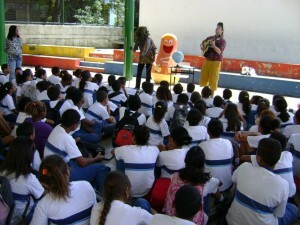 After reaching more than 9,000 children in their home country of Brazil, the Environment in Movement Institute has hit the road to answer calls from the other side of the world for their innovative program “Robin Hood Project.” The project uses theatre with pantomime, music, comedy and impromptu acting to educate kids about the effects our actions have on the environment. Jay Amstel, one of the founders, says that this new approach, which brings together environmental education, arts, culture, and sustainability, is proving to be very effective in sparking critical thinking and involvement from children. 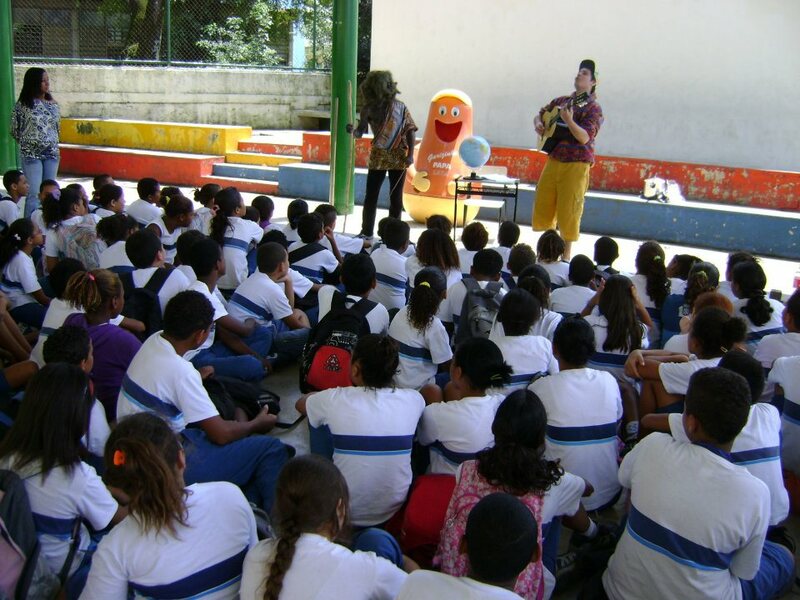 “The children really inspired us with their reply, affection, and admiration. They want to participate,” says Amstel. Furthermore, Vargas says that through this type of stimulation, they are able to identify the leaders in a group. “Once we identify a leader we can detect their potential, and see how we can help them organize themselves to do something together in their communities. This is the kind of education that Environment in Movement brings, and we do it in a playful and fun way.” This is an encouraging long-term effect of their project. In addition to this project, they are involved in other innovative approaches to environmental awareness. One of which is Educational Video Game Development. As part of the project, the Institute has taught a group of 30 young gaming enthusiasts how to create their own games. “We wanted to show kids that they could create something fun for themselves, while also showing them the power of using it to spread a positive message,” says Amstel. Their goal is to spread this new way of thinking and practicing Environmental Education, and reach as many children as possible. From the UN Climate Change Conference and tour of Africa in 2011, they made their way to India, and then a month-long stay with us in Thailand. Teknomadics (via their arm as GrassRoots Interactive) organized a successful 10-performance tour during January and February 2012, working with various NGO’s and US Peace Corps Volunteers to set up events around the country. If you are interested in bringing them to your school, orphanage, youth group, or want to learn more about how you can help support this project please contact us through their Thailand Environmental Education Tour page. Watch a Video About Their Project!